Since my first Anantara experience in Bali more than a decade ago, I’ve sought out other Anantara properties around the world for their signature service, incredible food and tasteful decor that doesn’t sacrifice comfort for style. When planning my next trip back to Sri Lanka I knew that I had to visit the newest Anantara hotel in Kalutara! Sometimes you discover a place that transports you away to a world that you never want to leave. It’s only happened to me a handful of times, where I check into a hotel and it physically pains me to think about leaving. The people, the atmosphere, the room, the pool, the wonderful out-of-this-world hospitality: Anantara Kalutara is one of those places. Visiting Sri Lanka? Click here for the full list of 12 things you should know before your trip! There is no shortage of luxury properties in Sri Lanka, they seem to be popping up like daisies left, right and center, but with all these options it may seem tough to pinpoint the best of the best. 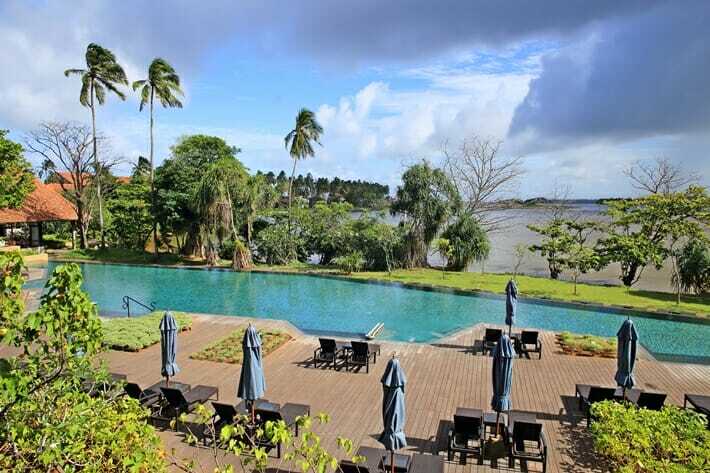 Located along the southwest coast of Sri Lanka, Anantara Kalutara joins its sister property, Anantara Peace Haven Tangalle, as the newest Anantara hotel in Ceylon. Located only an hour and a half away from Colombo Bandaranaike International Airport, Anantara Kalutara is a wonderful retreat that will make your troubles seem so far away. 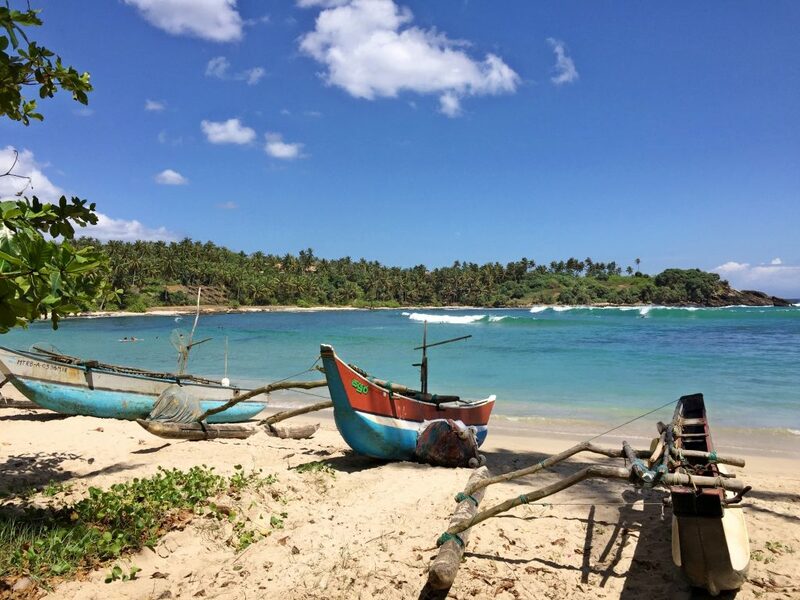 For more ideas of things to do while you’re in Sri Lanka, read my 2-week itinerary around the island! Geoffrey Bawa is often considered one of the greatest architects of his generation, and is known for his signature style of combining sunlit, breezy structures with nature. We first stayed at one of his properties in Sigiriya, at the Heritance Kandalama, where he managed to effortlessly integrate the mountain with the design & architecture of the hotel. Anantara Kalutara is one of Bawa’s final projects and blends together the island’s topical features and culture with colonial and local designs. 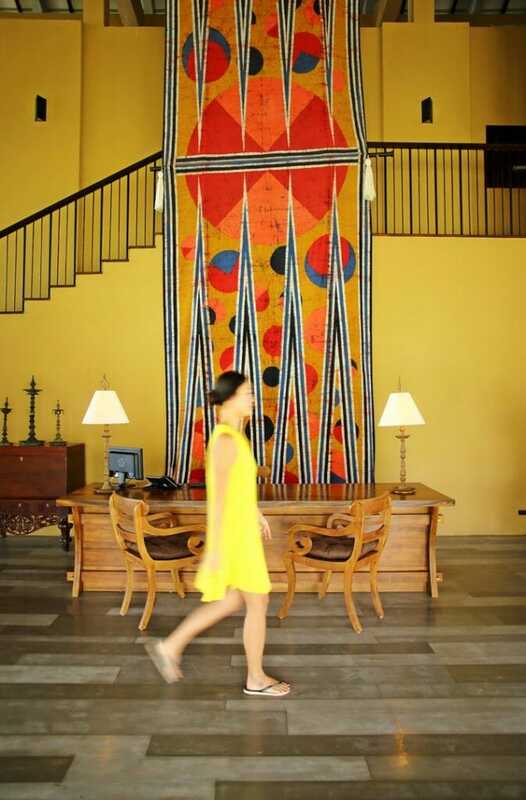 The property retains many of Bawa’s original works including the main building with the arrival hall, lobby lounge and upstairs bar. 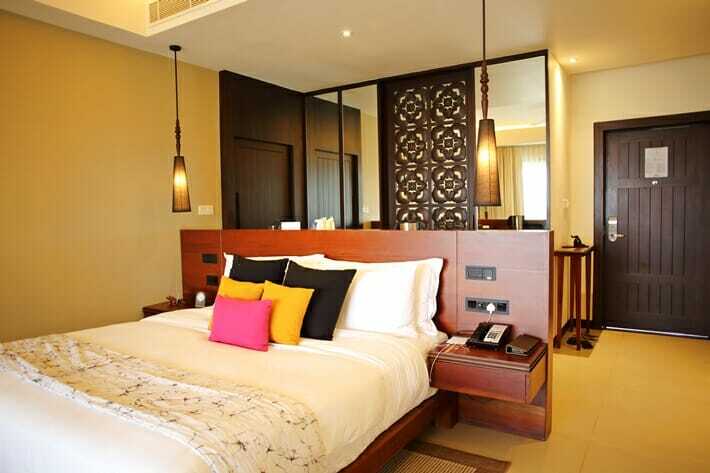 Anantara Kalutara has approximately 140 rooms and offers a number of options to suit different budgets and preferences: it has ocean view rooms, pool suites and two-bedroom villas just to name a few. We stayed in the deluxe lagoon view room and were blown away by the airiness and sun-filled space that we were to call home for the next few nights. True to their design philosophy, the room is cosy and comfortable without being stuffy, or what I like to call understated luxury. I arrived at 1 am in the morning and let me tell you, this is the type of room you want to hibernate in after a long day of traveling. Prior to your stay, each guest receives a pre-arrival survey in which you can select what type of pillow you want, and believe me when I tell you that these pillows make all the difference when you’re trying to get a good nights’ sleep. 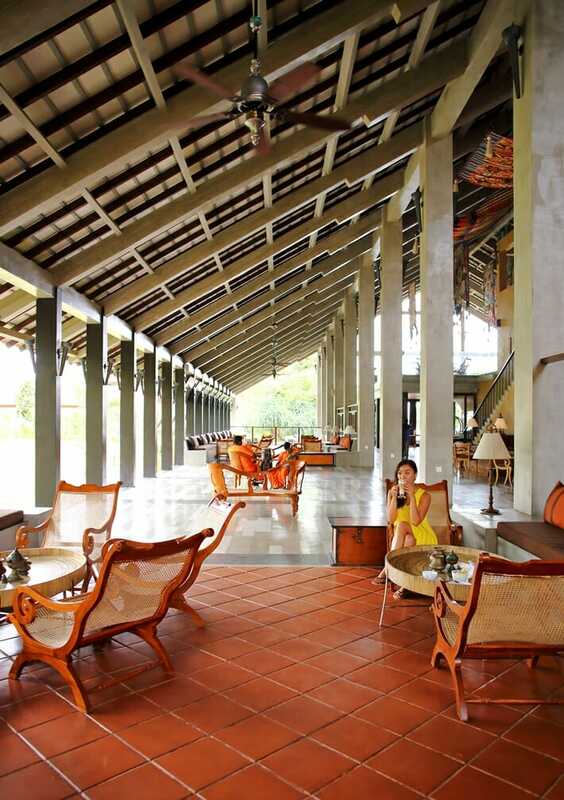 The massive balcony overlooks the Kalu river and long pool area and makes for a fantastic reading nook. 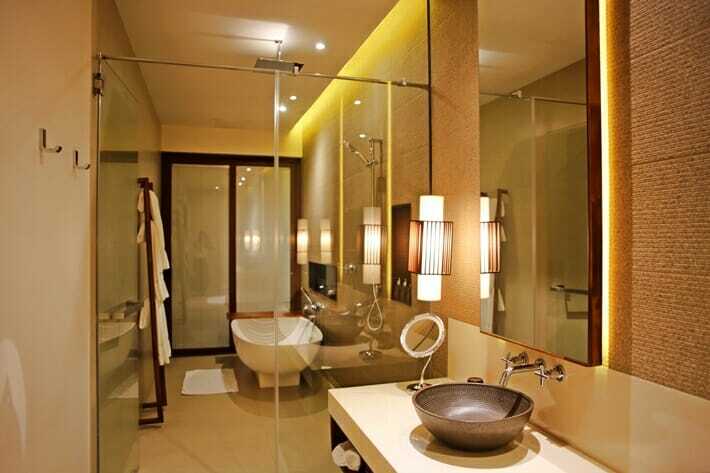 Step into the bathroom and you may never want to leave. The bathroom has two sinks, a freestanding bathtub, the dreamiest rain shower (+ regular shower head) and every amenity you could need. Where do I start? The property has a long main pool, kids pool, 24 hour fitness center as well as 5 dining facilities: Olu (international), Acquolina (Italian), Spice Traders (Asian), Upper deck (cocktail lounge) and Dining by Design, a private dining concept. 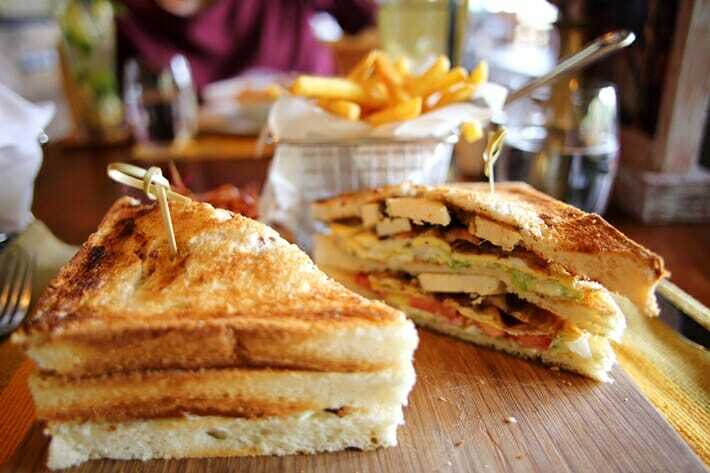 We tried the lunch at Olu and the food was fresh and tasty – I’ve always believed that you can judge a hotel by their club sandwich, and Anantara Kalutara did not disappoint! The hotel’s second-storey cocktail lounge is the perfect place to enjoy a Sri Lankan sunset – be sure to order the signature mojito! For dinner, we tried Spice Traders and was greeted with an amazing menu filled with delicious Indian, Chinese and Thai options. 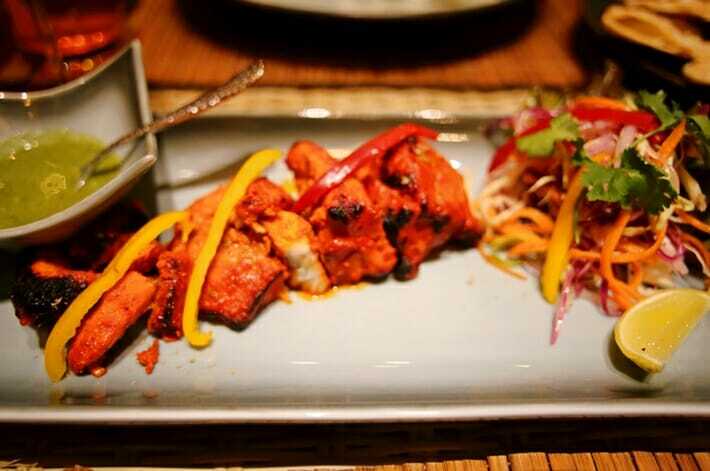 You must taste the beef massaman curry, garlic naan and fish tikka! 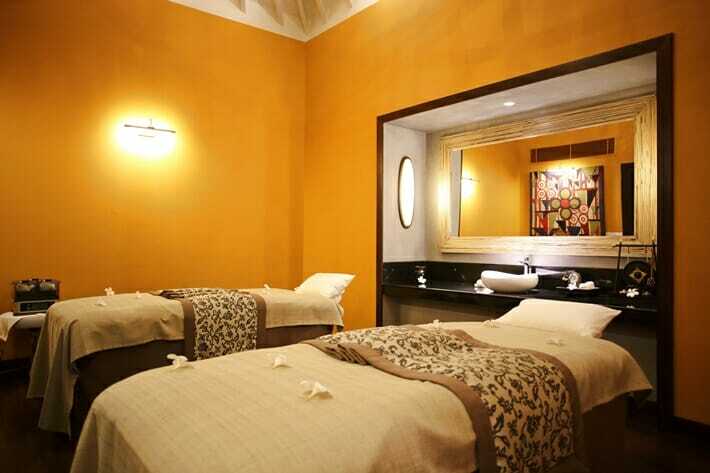 Spa lovers will rejoice at the signature spa which offers an assortment of ayurveda treatments, traditional massages, manicures/pedicures and waxing services. 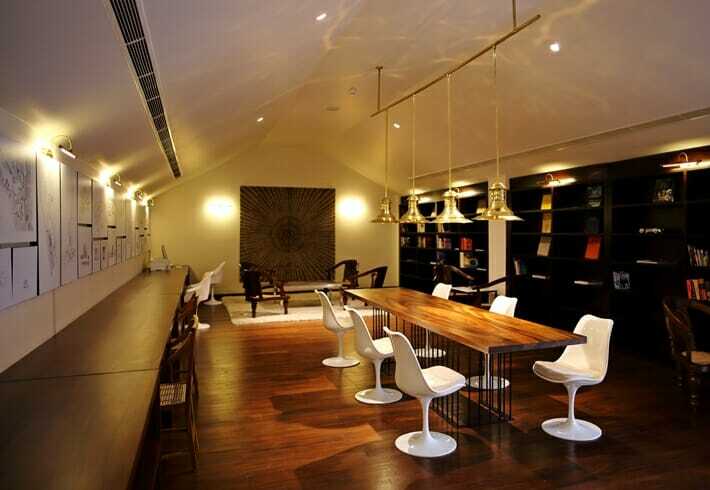 The spa has a total of 10 rooms, 4 of which are couple’s treatment rooms. I sat down with the in-house Ayurveda doctor, Dr. Nadeesha, for an in-depth consultation to find out my constitution and learn more about ayurvedic treatments and practices that could enhance my overall well-being. After the extremely informative consultation (one of the things I learned was that I need to eat more astringent foods – ginger, lime, pepper!) I was led into the treatment room to join my partner for a pinda sweda treatment, an ayurvedic massage with cloth bags filled with herbs. The massage and treatment by the Balinese therapist is one of the best massages I have ever had in my life and it wasn’t long before I found myself drifting off and allowing my body and mind to relax. The spa also offers free yoga lessons twice a week (Monday and Thursday mornings at time of writing) and can assist with booking private sessions. I tried out a hatha-style class with the local yoga teacher and was impressed by the amount of information he shared about each asana (pose). The hatha class involved a number of standalone poses (not linked with vinyasas) and is a good intro to yoga for people who have not practiced before, or are relatively new to the practice – if you have been practicing Yoga for a while you may find this style of teaching a little too gentle. If you are looking for a more flow-style class I would recommend advising the hotel ahead of time so that they can inform the teacher accordingly. 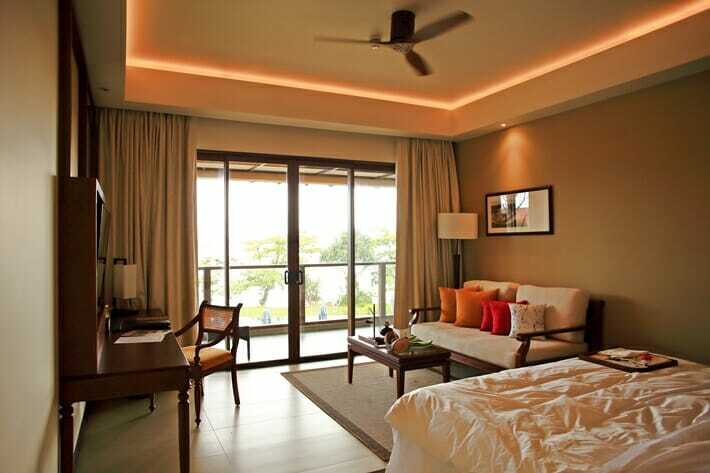 Wifi is available throughout the property (with the exception of the spa) and we were pleasantly surprised by the signal strength as we had experienced some connectivity issues previously at the Anantara in Tangalle. You can’t go wrong with the quality of service at Anantara properties, and the level of hospitality at Anantara Kalutara is no exception. If you want to truly feel pampered on your vacation, then look no further than Anantara. From Isuru who welcomed me at 1 am in the morning and Imran who greeted us with a massive smile at the front desk, to Rodney who hosted us at Olu and Dr. Nadeesha’s incredible warmth and patience, we truly left feeling like everyone had gone above and beyond to ensure that the stay was as enjoyable as possible. Click here to book your stay at Anantara Kalutara! If you want to step outside of the resort and explore the area, there are plenty of options. You can go on a local fishing trip to catch your own dinner with the help of the resorts “Fishing Guru”, sail down the Kalu on a river cruise, visit the Kalutara Bodhiya Buddhist Stupa, tour Geoffrey Bawa’s country residence, go on a safari to Yala National Park or Udawalawe National Park, head to Galle Fort (a UNESCO World Heritage Site) and so on! The options are endless. 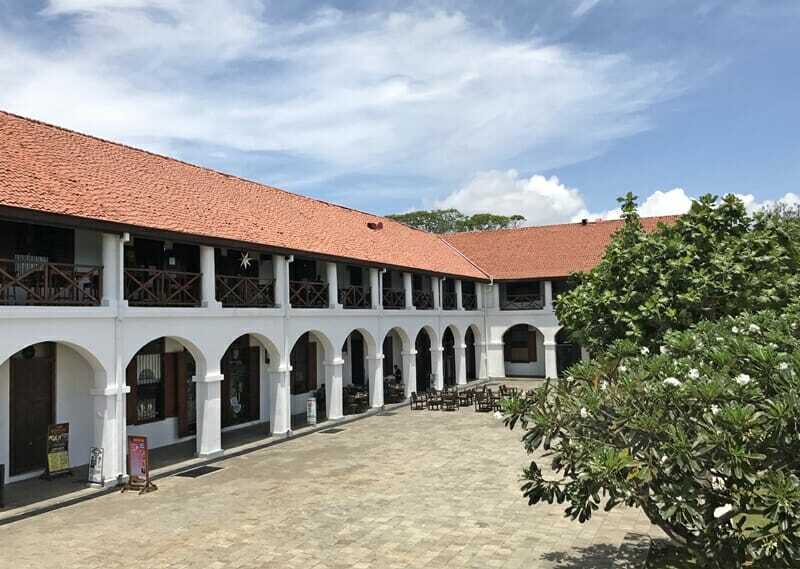 The hotel is just 10 minutes away from the historic town of Kalutara and approximately 1.5 hours away from Bandaranaike International Airport. The hotel offers a luxury chauffeur service, or you can book your own transportation to/from the property (we paid approximately 9,000 Sri Lankan Rupees each way via a car service). Click here to book your stay at Anantara Kalutara! 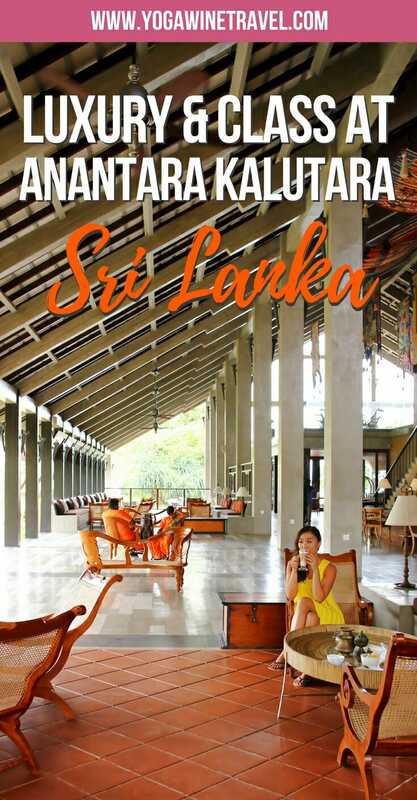 All-in-all, Anantara Kalutara is yet another Anantara property not to be missed. If you are planning a trip to Sri Lanka, you may have read about the recent floods that have impacted hundreds of thousands of people in the southwest region. Sri Lanka is in the process of rebuilding in affected areas and continues to send aid to help families who have been affected. From a tourism perspective, I stayed at Anantara Kalutara just days after the floods and can report that I have never felt safer. From speaking with the hotel’s staff, the floods did not affect the property at all as it is right on the coast, and thankfully all the staff and their families are safe and sound. I would encourage you not to dismiss Sri Lanka as an amazing travel destination as a result of the recent floods. If you are visiting, there are a number of ways that you can help with the relief efforts: volunteer with or donate to the Sri Lanka Red Cross, or donate to the Sri Lanka Government’s relief fund, just to name a few. For more Sri Lanka travel tips and destination guides, head on over here! No compensation was received for this review, however Anantara Kalutara offered my stay complimentary. As always, the opinions on Yogawinetravel.com are (and always will be) my own! This article contains an affiliate link. If you choose to book using this link, I will earn a small commission at no extra cost to you. Thank you for supporting my website by using this link, I only recommend products or services that I have personally used & hotels I have visited and loved. Flo this place looks INCREDIBLE! All of your photos and stories from Sri Lanka are making me want to book a flight right now. 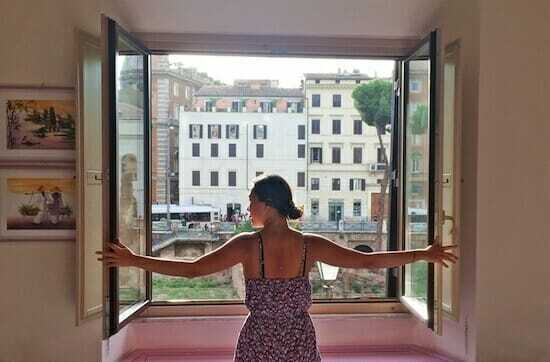 Although I think if I stayed here I would never want to leave. That beach looks so inviting! This hotel is stunning! I’m all about avoiding cookie-cutter hotels and this place is right up my alley – comfortable yet luxurious! 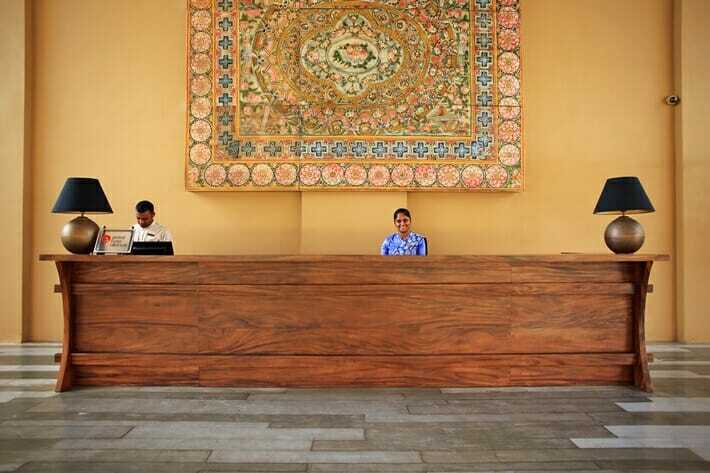 I’ve yet to stay at a Anantara hotel but I’ve been hearing so many good things about it lately! I’m hoping to visit SE Asia in Jan and I really wish I have time to head over to Sri Lanka as well. All your photos from there make me wanna visit so bad!!!!! This looks beautiful ! I’m planning another trip to Sri Lanka soon so this is def going to be one of the spots ! You’ll love it, Roxanne! It’s close to the airport so you can always stay here on your way out/back! Great spot. The restaurant –and its offerings!– looks amazing. It’s a fantastic property, Bob – will definitely be back! Sri Lanka is a stunning country – you should definitely visit before it starts getting busier! It’s a fantastic place to stay – I highly recommend it! A pre-arrival survey asking which type of pillow!??!! Seriously??? Sign me up! These are gorgeous photos and looks like a very relaxing accommodation. Yes – and food preferences, intolerances, special requests – the works! I hope you make it to Sri Lanka soon! Let me know if you’d like any other recommendations! They have lots of properties around Asia and they’re incredible! Great post. I’m a little jealous that you were able to enjoy that little piece of paradise! In terms of beach resorts, how would you rate this on a scale of 1 to 10? This looks like a fine resort. I could imagine myself spending two weeks here. Especially since I have spent the last two weeks sleeping in my car! I need a vacation from my vacation. Look out Sri Lanka here we come. Haha a vacation from your vacation – that road trip must have been intense! You are going to love it! Whereabouts in SL are you headed? This looks amazing! 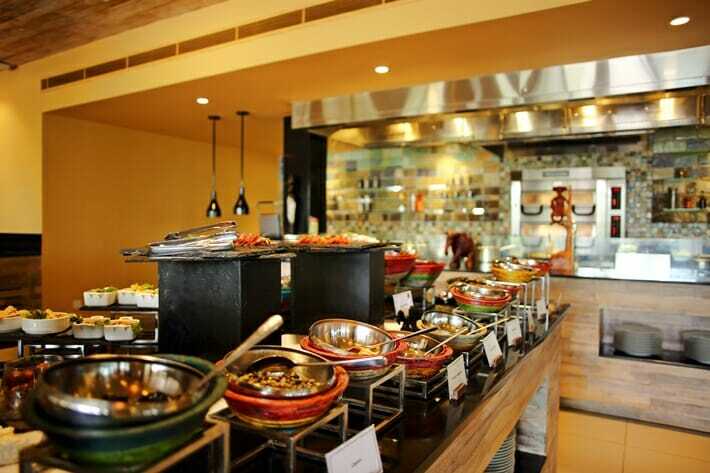 The food looks delicious, and it’s definitely an incredible place to stay for luxurious accomodation. Beautiful views! What really sold me on Anantara Kalutara is that it’s luxurious, but down-to-earth at the same time! You had me at cocktails and Sri Lankan sunsets. 🙂 Totally gorgeous place – now I know where I’m staying when we visit Sri Lanka! Honestly this hotel’s bar served up one of the best mojitos I’ve ever tasted! 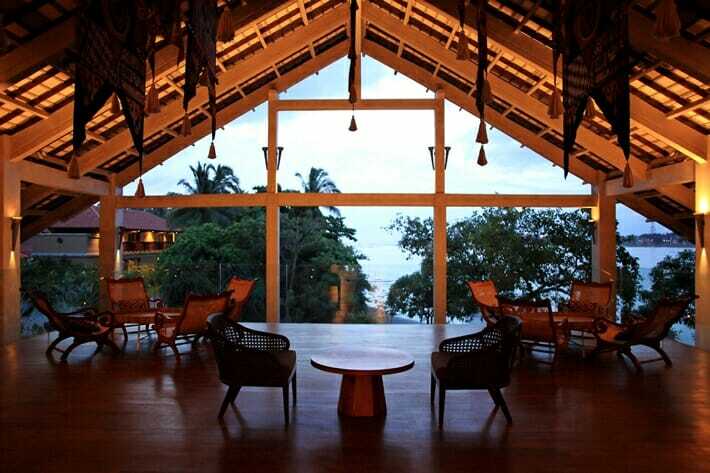 If you’re traveling further south along the coast make sure you check out their sister property in Tangalle as well! I hope you get to stay here one day soon Mina! 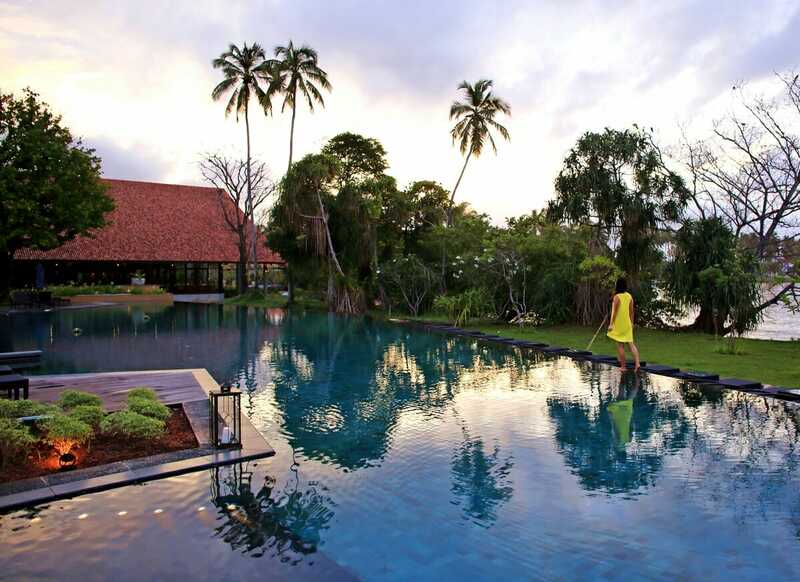 Since Sri Lanka is on my bucket list, I would gladly check in a paradise like Anantara Kalutara Resort. And I have to say it, I can’t wait to take a safari to Yala National park!! I LOVED the safari in Yala – if you love elephants make sure you check out Udawalawe as well! Sri Lanka has some of the classiest hotels. This one in particular is so charming. The food is tempting. There are some seriously stunning hotels opening up – it’s an amazing destination! I hope you get to experience Sri Lankan hospitality here, Bruce! The resort is beautifully decorated. 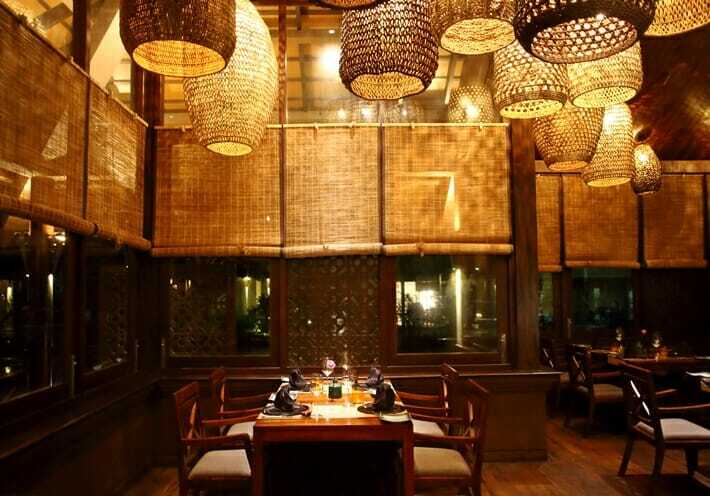 The room has a combination of modern and traditional Asian style. I like that the food selections have a variety. It is nice that they offer free yoga classes. I would take advantage of it if I was there. I am sure that if given a chance I would stay here. It has also a great staff and an amazing view.